I am of course pleased to offer these remarks at our national consultation on the post-2015 development agenda and Third International Conference on Small Island Development States (SIDS). Our Government expects that today’s dialogue will find expression in the global agreement on the post 2015 development agenda and the conclusion of the upcoming SIDS Conference. Without doubt, sisters and brothers, Grenada has made remarkable strides on many of the Millennium Development Goals since they were first launched in 2000. As it relates to Poverty, Inequality & Economy, we haveenhanced social assistance programmes to protect the vulnerable and the marginalized. We have also implemented key economic reforms in the areas of the business enabling environment. In the areas of Health & the Environment, we are pleased to report that we have seen an almost zero mortality rate of infants and mothers. This is indeed, a special feat. Grenada has institutionalized environmental management by establishing Marine Protected Areas and endorsed the Conservation Fund. As it relates to Partnerships, our country is home to an active civil society, and has established strategic partnerships with multilateral agencies and countries. Our Education system has seen an almost 100% primary school matriculation and the adoption of the Caribbean Primary Exit Exam (CPEA). Additionally, we are now quickly approaching universal access to secondary education. Regrettably, I must also observe that there have been reversals in some key areas due to the harsh impact of the economic recession, and the uncaring policies and conduct of the immediate past administration. No one can deny, for example, that poverty and unemployment have risen in the past five years, or that our road network, and general infrastructural areas have deteriorated. We must now work diligently to reverse these disturbing trends. On February 19th of this year, the people of Grenada spoke in clear and compelling terms about the type of future they want. They want a future of hope, jobs and opportunities. As a consequence, the top priority of our Government is building the New Economy, which is focused on providing jobs for those who wish to work. This New Economy aims to provide business opportunities for those who choose to invest; opportunities for wealth creation and prosperity for those prepared to sacrifice and play by the rules; and last but not least, this New Economy caters for social justice for all. This must be a fundamental criterion. The New Economy is defined in some quarters as a Green economy, whose key ingredients are economic growth and jobs, social equity and environmental sustainability. Oil, gas and renewable energy sectors, within the context of protection of our environment. While these may seem ambitious to many, as government, we have a responsibility to work towards realizing a progressive future for our young people, especially. We have to work towards ensuring that our country is competitive on the world stage. The future we envision is one in which our poor and vulnerable citizens are protected, and our elderly are supported to live out their twilight years in dignity. Without jobs, our time-honoured values as a nation, are undermined. Our development progress is stifled. Our future is dimmed. A world of peace and prosperity is only possible through shared commitment and collective action. Every country, large and small, rich and poor, must accept shared responsibility for the progressive future we would like to have. For example, our region is seriously affected by drug trafficking from the producing-south to the consuming-north, while the Caribbean is being used as a trans-shipment point. We can only effectively confront this crisis with vigilance by regional nations and support by the United States and Canada. Those Northern countries can help us in terms of provision of the requisite technology to track and intercept the drug traffickers. Indeed, I made this same point to the United States Vice President during his recent visit to the Caribbean. Innocent bystanders, such as our Eastern Caribbean countries are yet to fully recover from the global financial and economic recession caused by greed, irresponsible risk-taking, and inadequate supervision of the financial sector. The international community, and especially the Group of Twenty (G-20), must be held accountable to ensure that our global economy is never again taken to the brink of financial calamity. The international community must be held accountable to deliver on its commitments regarding aid for trade, development assistance and reduction in carbon emissions. The post-development agenda should bring laser-like focus to the issues of inclusive green growth, private sector development and job creation; infrastructure; food security; skills training; and the high indebtedness of small middle income countries such as those in the Caribbean. The Third International SIDS Conference must advance the small states’ quest for energy that is accessible, affordable and sustainable. The threat of climate change is real and poses a clear and present danger to the survival of SIDS. 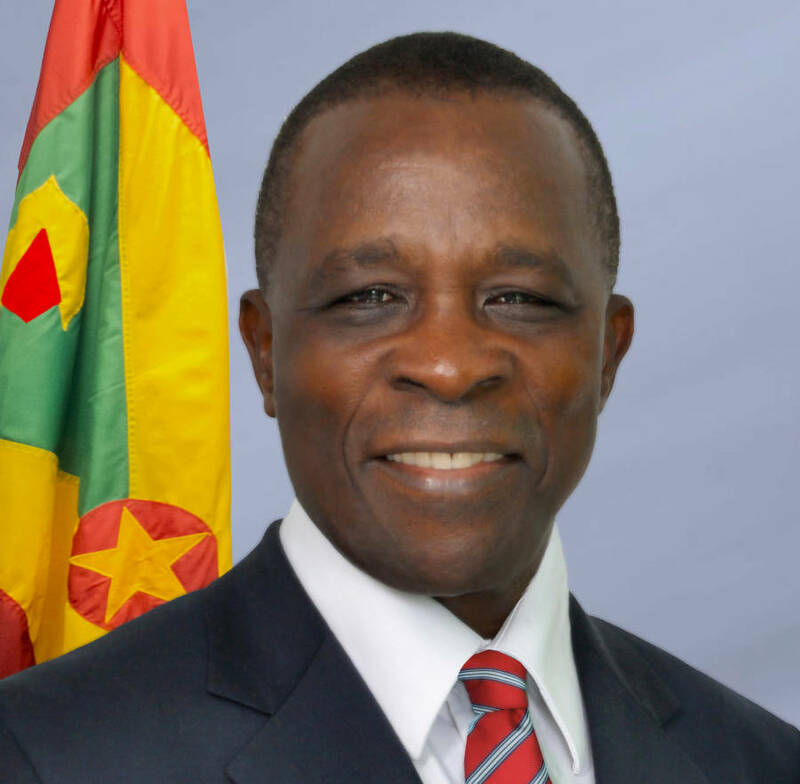 We call on the international community to release long-promised resources to help small states like Grenada move more rapidly on our disaster risk mitigation and reduction efforts. Finally, the post 2015 Development Agenda must be the platform for a decisive move to close the development gap between the rich and poor nations of our world. In this regard, special attention must be paid to developing metrics by which all partners will be held accountable for delivering their commitments to this agenda. May your deliberations today be spirited and your recommendations be very clear, as together we pursue the future that we all wish to have for our children and grandchildren.